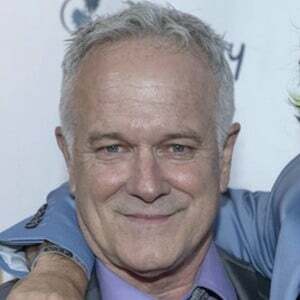 Film and television actor in addition to screenwriter and stage performer whose notable credits include Robocop 3, Manhunter and W.M.D. He wrote and starred in the 2010 film Legendary. He began working as an actor in Los Angeles in 1989 after graduating from the University of Florida. He traveled the country for twelve years performing his one-man show titled Father, Son & Holy Coach. He has a brother named David Posey. He and his wife of 14 years, Cyndi Garcia, had children named Tyler, Jesse, Derek and Mayra. Tyler Posey starred on MTV's Teen Wolf. He was originally suppose to play the role of Danny Tanner on the hit series Full House; but the role was eventually played by Bob Saget.